The New York Giants have several holes to fill throughout the offseason, but one position is still up for grabs in the secondary. 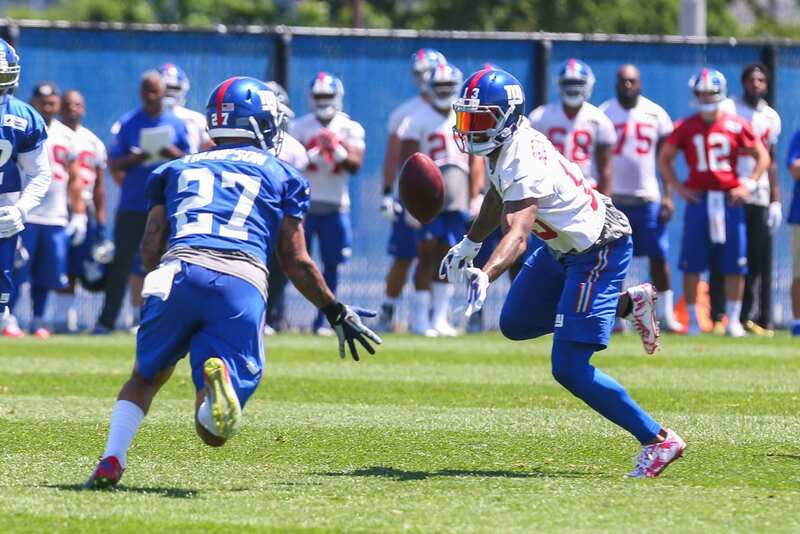 At the safety position the Giants only have undrafted free agent Andrew Adams and Boise State product Darian Thompson who’s going into his third year in the NFL. Both players have been average at best at their position, and have struggled to make the leap to starting caliber players. @DThompson004 slows down into blocker instead of going through him. Looks scared of contact. Hasnt been a ball hawk. Thompson had big expectations entering the league in 2016, but a season ending injury delayed his career until 2017. He played the entire season in the most recent campaign, recording 75 combined tackles, one interception, six passes defended and two stuffs. His latest season wasn’t all that impressive, as the middle of the field was often a liability in the passing game. The Giants simply don’t have enough cap-space or draft picks to address the safety position with quality, making it likely that Thompson will be expected to make a serious developmental leap in his third-season with Big Blue. With the overhaul of the front-office nobodies job is safe, and if Thompson puts the same effort as he did in the play above, he will be in for a long 2018. Thompson did show some flashes of quality in his first full season. We can chalk up his overall performance to the degradation of the offense and defense due to injuries, but he still has a ways to go until he can hold down the safety position on a consistent basis. A solid play made by the glorified rookie (basically a rookie since he missed his first season). This is the type of plays that Thompson is capable of making, but doing it consistently has been his biggest struggle. With an offseason infront of him and additional pieces being added to the team, we should expect to see a revitalized secondary, especially at the safety position.